I love these....for me, being in the midwest, the statue of liberty and the empire state building are quintessentially New York. The diversity of the photos is great---the real deal and then the profitable items for tourists. Miss Green M&M is the icing on the cake ;) Love it. 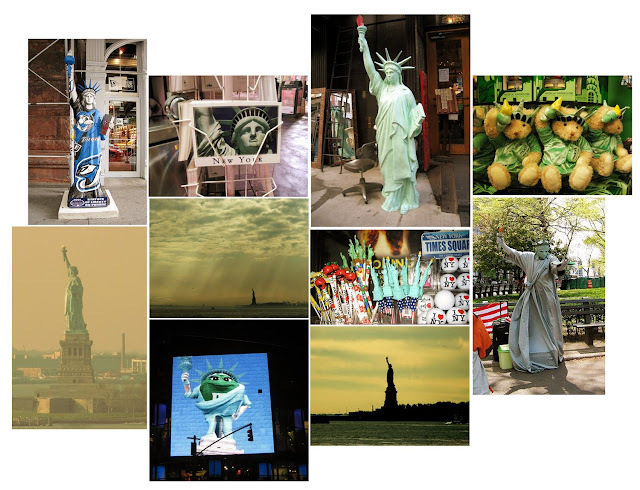 Wonderful montage of Lady Liberty, the real thing as well as the reproductions. Great pics! I still remember the first time I saw the Statue of Liberty in person. It was so cool.